After our late introduction to the amazing Apestaartje label last week with the massive Mountains set - this week we introduce two further catalogue gems from late 2004. 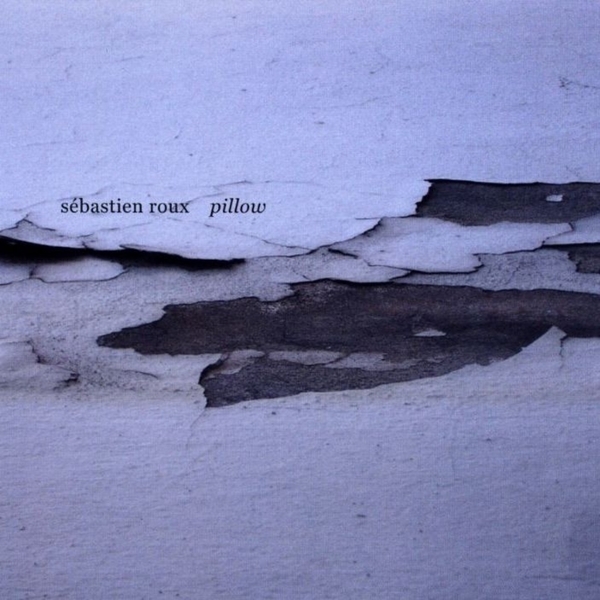 Sebastien Roux follows in the footsteps of fellow french melodic minimalists Gel, Encre and Sylvain Chauveau with this glorious multi faceted drone based album. Roux may be known to you for his input alongside Keith Fullerton Whitman, Fonica and Christopher Willets on the 12k comp 'E.A.D.G.B.E'. For 'Pillow' layers of ambient noise are crafted into electro classical suites - guitar phrases lift the music to more familiar places - the glitch approach brings Christopher Willets to mind, in fact 'Pillow' is like a denser variation of 'Pollen' on Fällt. Drones build like those Fennesz would deliver for Raster-Noton (dream on). Nine tracks, recorded in 2003 in Paris, Lyon, Amsterdam and on trains. Oddly evocative artwork.